Tuna contribute more than 20% of the marine fisheries production of the Philippines. Tuna are pelagic (surface dwelling) fishes found worldwide in tropical oceans. More than 4 million metric tons (mt) of tuna are caught yearly with 68% coming from the Pacific Ocean, 22% from the Indian Ocean, and 10% from the Atlantic Ocean. Swimming in schools in offshore and coastal waters, tuna feed on other fish, shrimp, and squid. (Katsuwonus pelamis), which accounts for 60% of the total catch; the yellowfin or “tambakol“ (Thunnus albacares), which accounts for 24%; the bigeye (Thunnus obesus) with 10%; the albacore (Thunnus alalunga) with 5%; and the bluefin (Thunnus thunnus) with 1%. Tuna can grow up to a length of over 4 meters, weigh more than 600 kilos, and live for many years. They are caught by commercial fishing vessels using purse seine nets and by small-scale fishers using long line, pole and line, and other fishing gear. 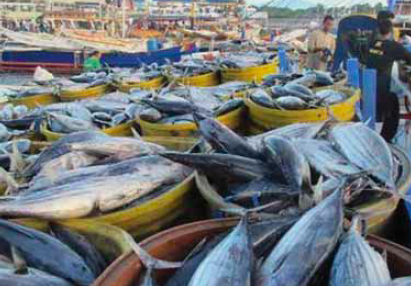 In 2013, 354,222 mt of the major tunas (skipjack, yellowfin and bigeye) were landed in fishing ports of the country. 73.8% were from commercial fishing, including tuna caught in foreign waters, and 26.2% from the municipal fishing. Tuna products (fresh, chilled, frozen, smoked, and canned) are the country’s top fisheries export, with canned tuna accounting for the bulk of it. In 2012, 56,728 mt of tuna products with a value of over US$ 414 million were exported to the United States, Japan, and United Kingdom. The GenSan fish port complex. Tuna contribute more than 20% of the marine fisheries production of the Philippines. The major fishing grounds for tuna in the country are the coastal waters of Davao del Sur, Davao Oriental, and South Cotabato. Our commercial fishing fleets catch the skipjack and yellowfin from as far as the western Pacific Ocean and from the territorial waters of Papua New Guinea (PNG) and Indonesia. The Western and Central Pacific Ocean Fisheries Commission (WCPOFC) has allowed the Philippines to fish in the tuna-rich “high seas pocket 1” of the western Pacific Ocean. Our fishing companies have also forged agreements with the governments of PNG and Indonesia to allow them to fish their waters. According to the Philippine Fisheries Development Authority in 2013, 167,578 mt of tuna and tuna-like species (billfish, sailfish, and blue marlin) were landed in the fish port of General Santos (GenSan) City (South Cotabato), making it the “Tuna Capital of the Philippines.” More than 50% of the tuna caught were frozen. Of the 397,909 mt of tuna landed from 2009 to 2013, about 80% were from foreign waters. 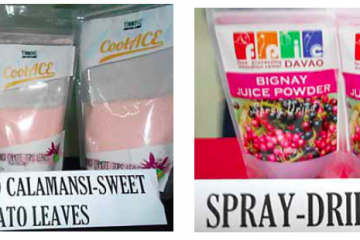 There are six fish canning plants at GenSan. 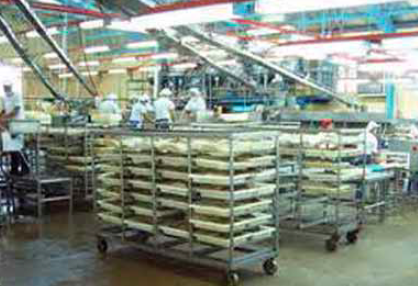 A tuna processing plant at GenSan. There is a declining trend in the catch of tuna worldwide because of overfishing. Uncontrolled purse seine fishing in the western and central Pacific Ocean has depleted bigeye stocks. The indiscriminate use of fish aggregating devices (FADs) locally known as “payaw” (which are anchored or drifting fish shelters in the ocean for attracting fish) has resulted in the excessive catch of large numbers of juvenile tuna that has reduced breeding populations of the species. 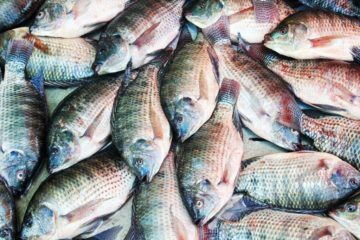 According to one estimate, the country’s fishing fleets have 3,000 anchored FADs and 7,200 drifting FADs in the western Pacific Ocean. Fortunately, there is an international body like the WCPOFC that is now regulating the fishing of tuna in the high seas of the western and central Pacific Ocean for the conservation and management of the highly migratory fish stocks. For the conservation of our tuna stocks, the Bureau of Fisheries and Aquatic Resources of the Department of Agriculture has set the annual catch limit for the fishes at 165,000 mt. Stiffer sanctions have also been proposed for “illegal, unreported and unregulated fishing” in the amendment of the Philippine Fisheries Code of 1998 (RA 8550). 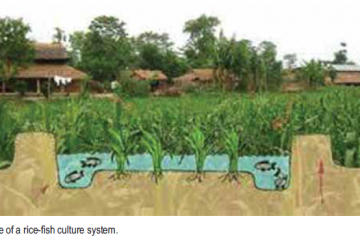 This appeared in Agriculture Monthly’s March 2015 issue.